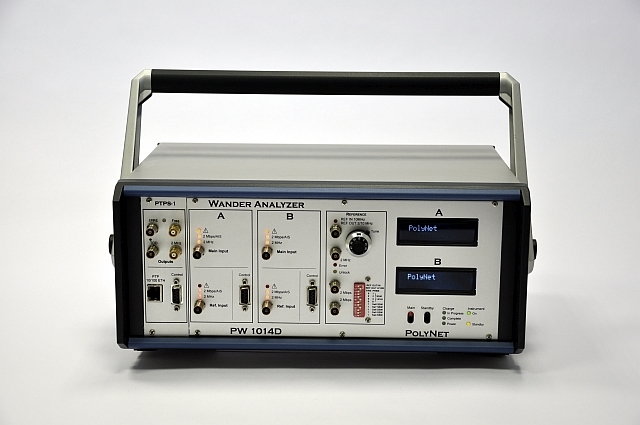 The PW 1014D equipped with internal Rubidium atomic reference is a portable PTP capable Wander Analyzer. 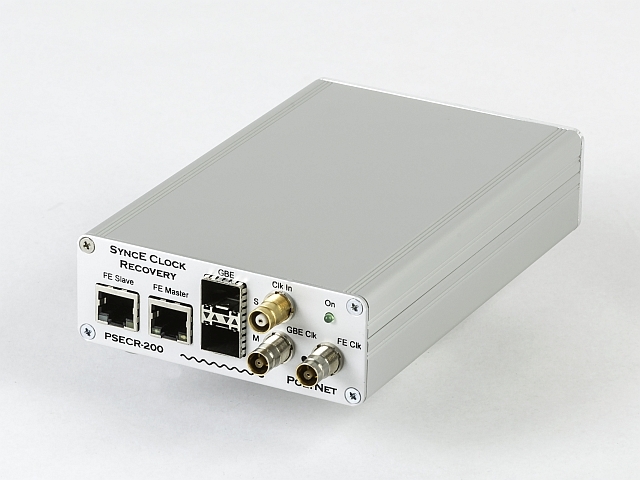 The instrument is able to qualify the current quality level of network synchronization by displaying immediate measurement result and saving them for later evaluation. 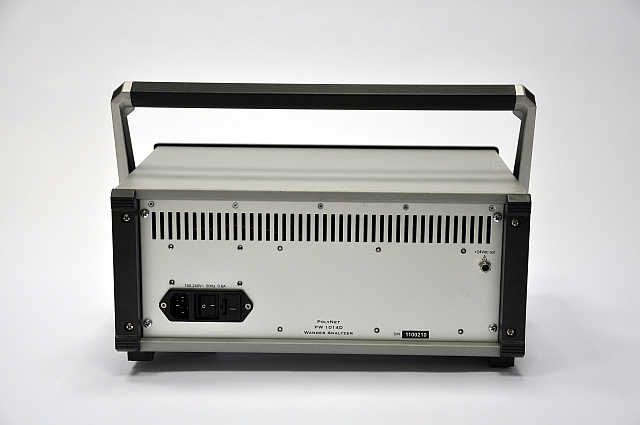 The dual measuring core makes the PW1014D capable for long last parallel on-the-field synchronization quality measurements on both TDM and packet-based network segments. The analyzer is fully compliant with IEEE 1588-2008 standard. 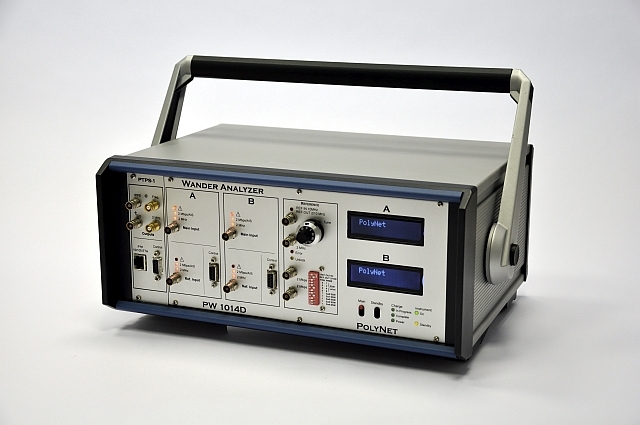 For TDM, SyncE and IEEE 1588v2 PTP synchronization analyzer and IP tester, also see our handheld Ptest 1G/10G instrument. 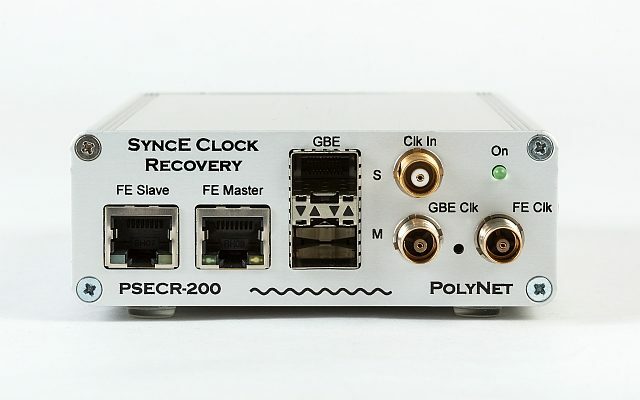 Measure the Synchronous Ethernet line’s timing quality with conventional Wander Analyzer using the PSECR-200 SyncE Clock Recovery unit.